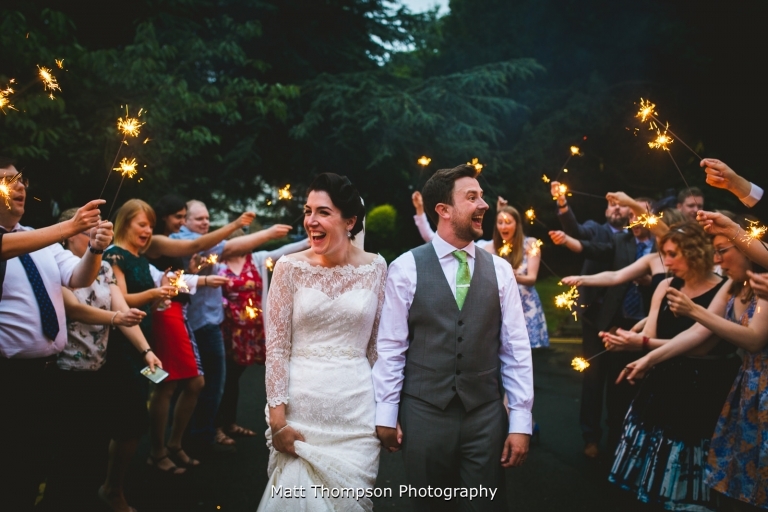 When two of my closest friends asked me to photograph their wedding at The Old Swan in Harrogate, with a style of vintage, mention of sparklers and a love for alcohol, I knew it was going to be one of the best weddings of the year. I’ve photographed brides getting ready in some poky little rooms and some nice large bridal suites, but I’ve never photographed in an ‘apartment’ in a hotel before. The Old Swan’s bridal suite is absolutely massive! Complete with separate bedroom, living room and dining room, I had so much room to move about I didn’t know what to do. Although when I went four doors down to capture Alex and his groomsmen getting ready, I was back to tip toeing around a standard room. I always love photographing groom prep, it gives a better story when I deliver the wedding photos. Although I don’t usually have to help dress the groom and it took all of us to have a go at doing Alex’s tie. You’d think being a environmental scientist, Alex would be used to wearing ties, but no, this was alien to him. 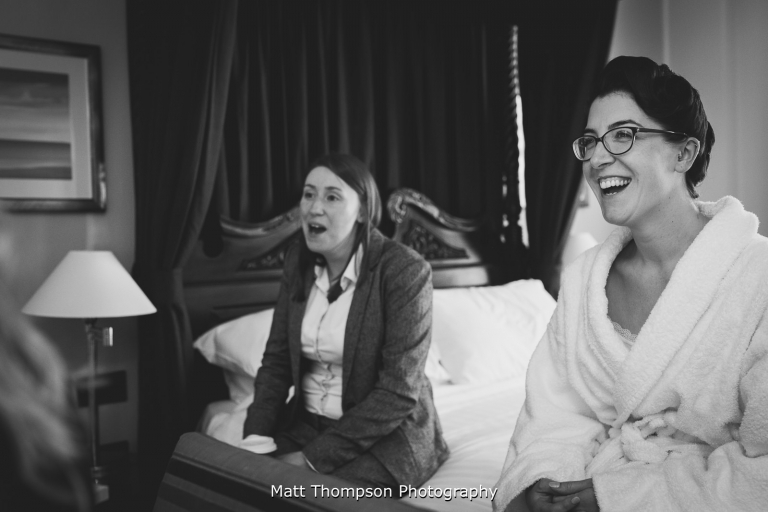 Laura loves vintage fashion, so choosing Le Keux Vintage Salon to do her hair and make up was a perfect fit and with her So Sassi wedding dress from The Swanky Bride in Kirkburton going perfectly, she looked stunning. Her and Alex had done an amazing job on the details of the wedding and putting their own stamp on The Old Swan. From choosing sunflowers for the wedding bouquets and flowers from the talented River & Rose and designing a very cool naked wedding cake from Blossom Tree Cake. They even added Alex’s love for maps with little map confetti on the tables. The Old Swan is a great venue too, gorgeous light ceremony room and made even better when the couple choose fairy lights. 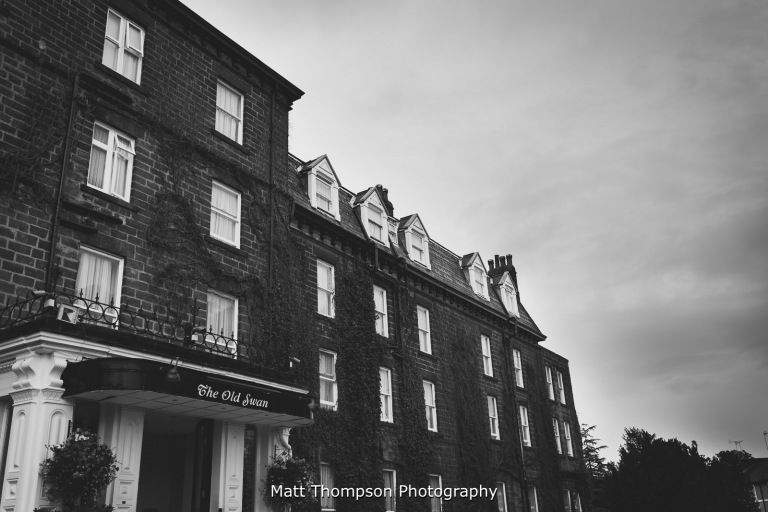 As Alex is a sucker for great facts, The Old Swan in Harrogate is not only 200 years old, giving it a Victorian splendour with contemporary luxury, but it is also the same hotel that Agatha Christie havened in when she disappeared for 11 days in 1926. 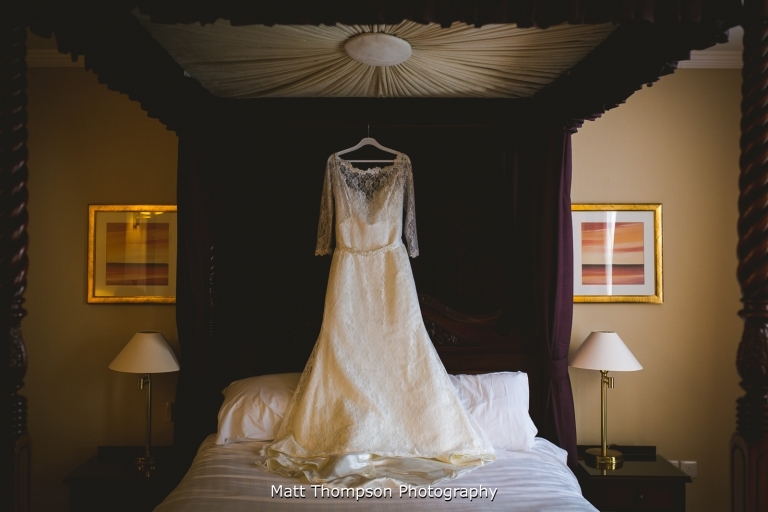 So what happens when you’re a guest as well as a photographer at The Old Swan Hotel? Well you get to taste the special wedding wine that the grooms parents have brought all the way from France. Suggest drinking games on your table for the speeches, which then gets the whole table drunk because a certain someone (Andy) proof read the bestman speech. The same person who then convinces you its a great idea to catch up fast with the rest of the wedding party when you’ve finished. Hangovers after working a wedding are horrible. But most importantly you get to have an all access pass to your mates wedding. Laura and Alex, thank you so so much for choosing me to be your wedding photographer at The Old Swan.